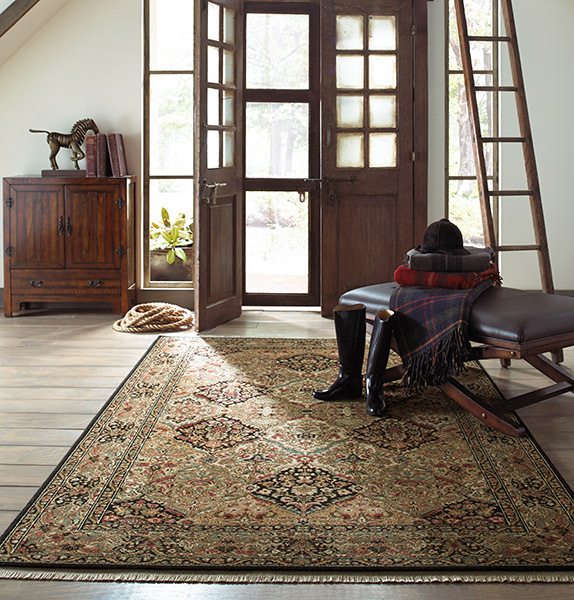 The space between the great outdoors and the rest of your home that’s not the easiest space to style – particularly for rugs. 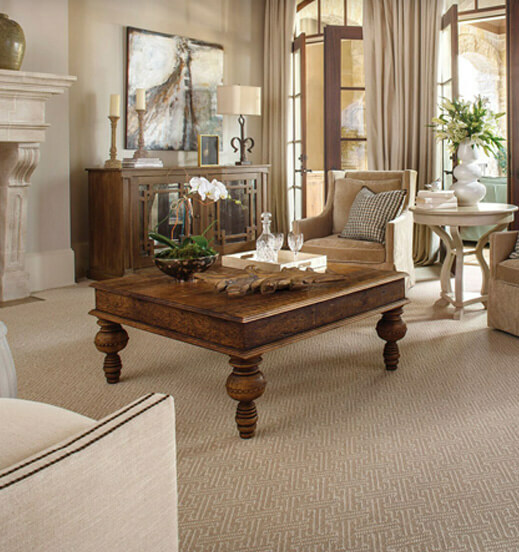 There are several things you must consider when tastefully merging the style of your home with the natural elements of the outdoors. 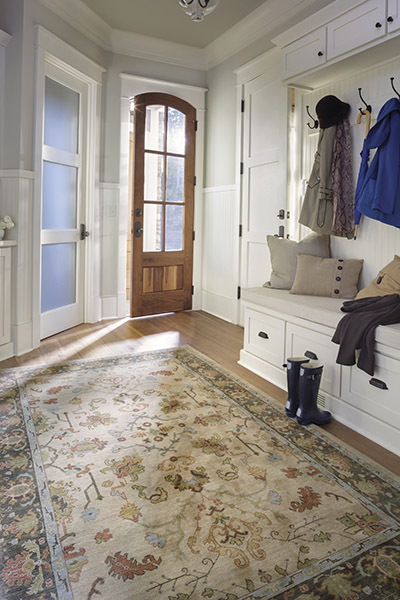 Proportion — Make sure the size of the rug is in proportion to the size of the entryway. 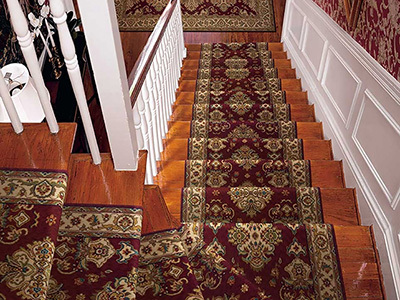 Foyers come in every shape and size, and fortunately, so do area rugs. 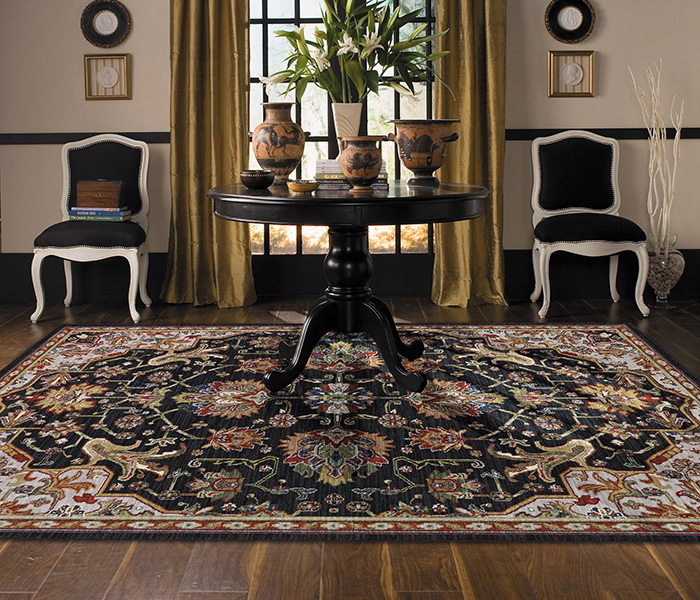 Choose one that fits the scale of your space. 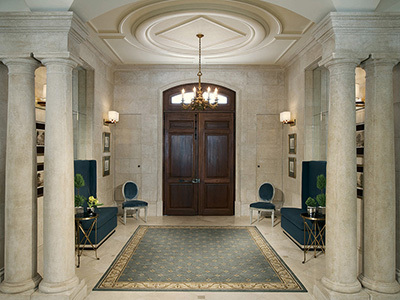 Doors — Open and close your door several times and note the space between the bottom of the door and your entryway floor. 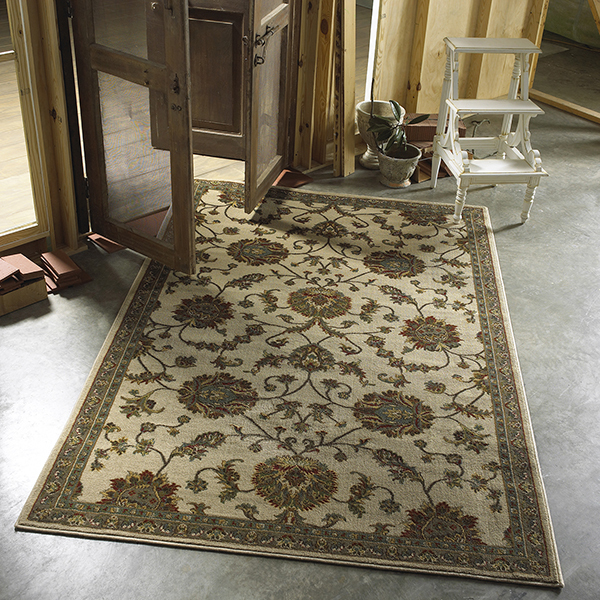 Always leave a sufficient vertical air gap between your rug and the door. 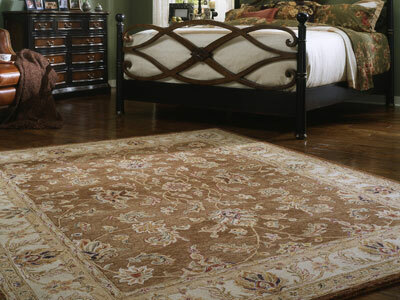 This will reduce wear an tear and extend the life of your rug. 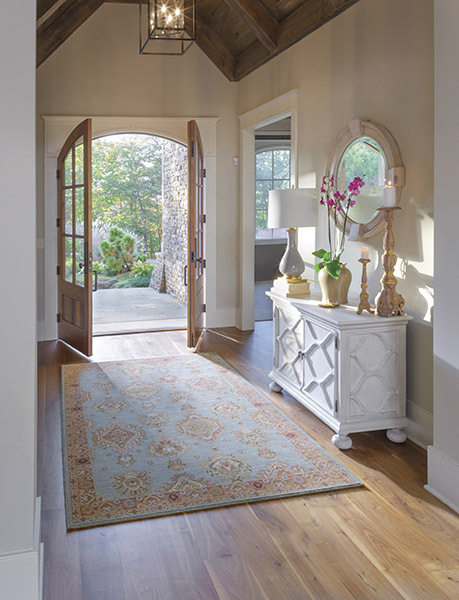 Cleaning — Your entryway probably gets more use than most of the rest of your home. 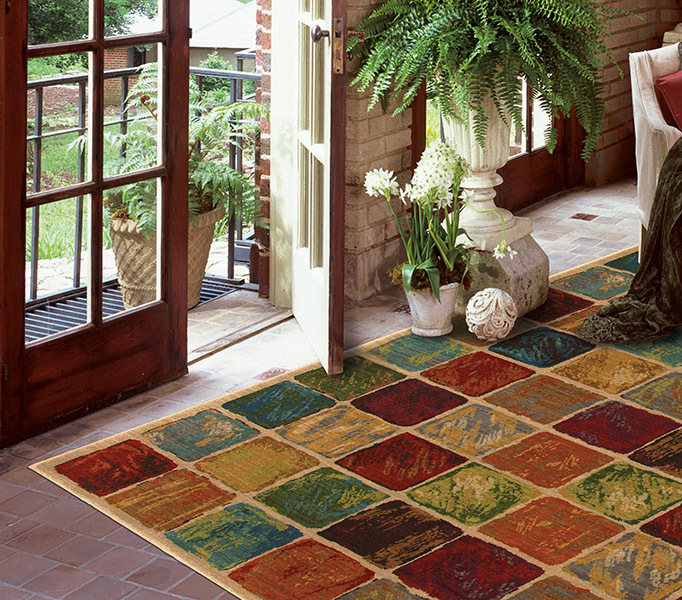 Plan on dirt, mud, and water coming into contact with your entryway rug. 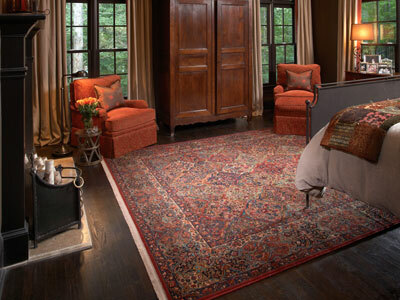 Thick-pile rugs are harder to keep clean at a doorway; thinner piles tend to be hardier. 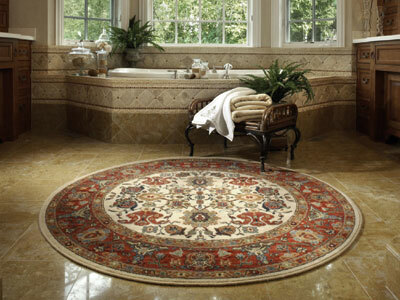 Indoor/outdoor rugs (typically made of synthetic materials) are a great option. 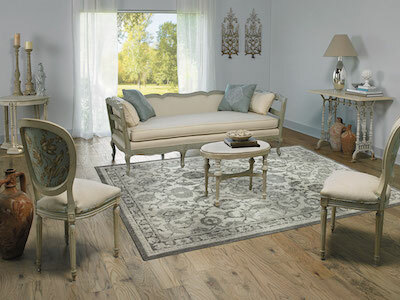 Patterns — Patterned rugs can be very forgiving. 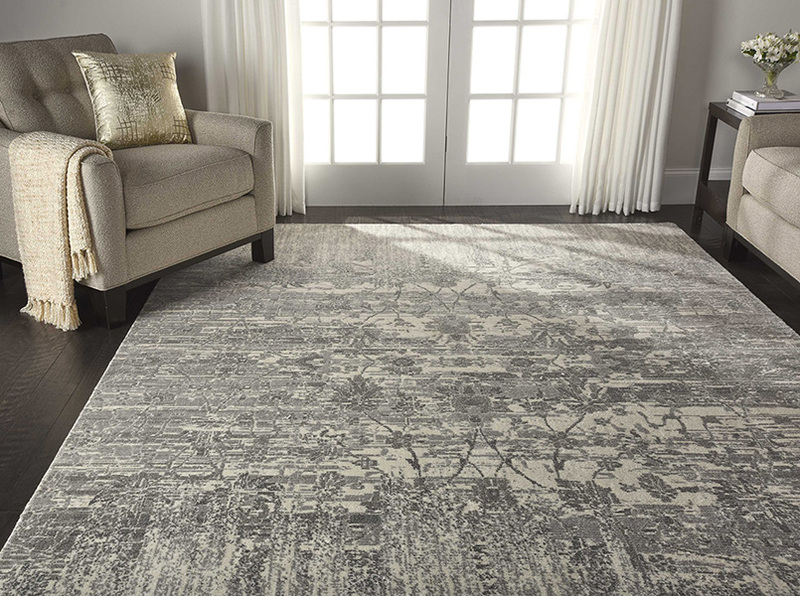 Not only does a well-chosen pattern add visual interest to a space (which is often the most important determining factor but at very least a bonus), but it also camouflages dirt and grime temporarily until you have a chance to clean the rug. Of course, all this isn’t to say you should throw your entire sense of style out the window. 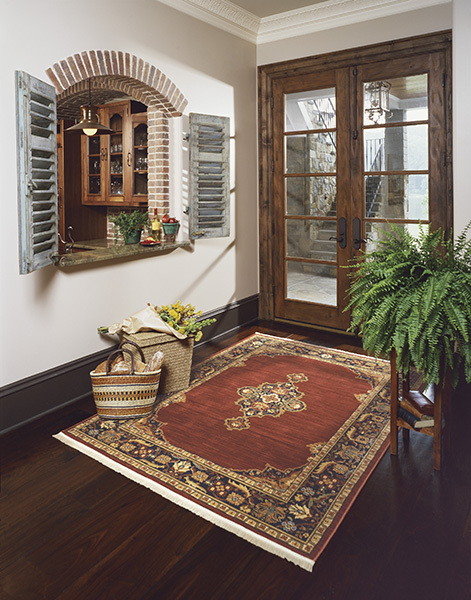 Be true to your sense of style in selecting an entryway rug. 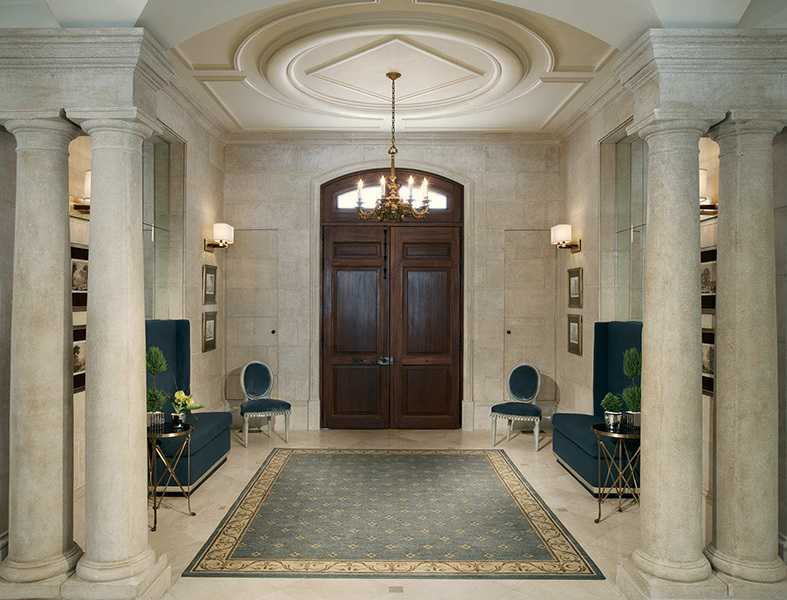 As the first space seen upon entering your home, the entryway is where your first impressions happen.